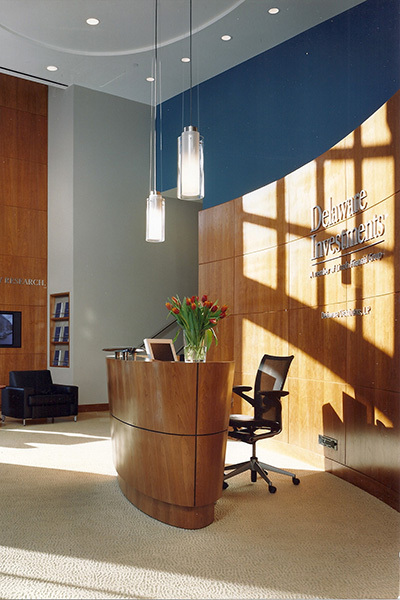 While working at EwingCole, Camille Peluso was the Project Architect/Designer for the design and planning of a two story Investor Center for Delaware Investments. 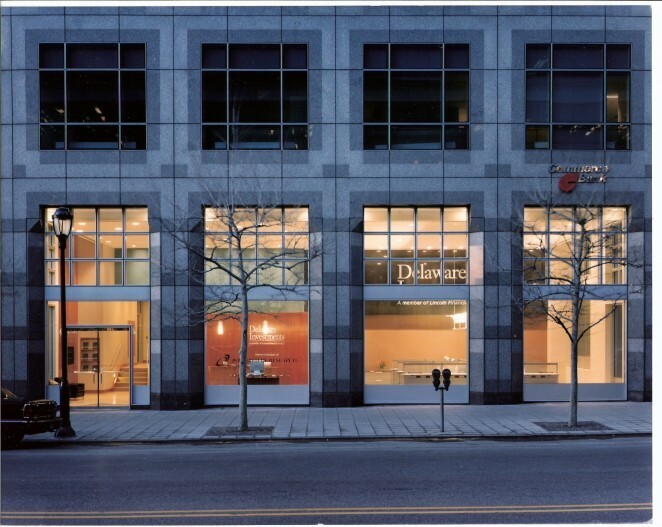 The interior space optimizes the location on the ground floor to serve as a billboard announcing the presence of the 365,000 sf office located on the 17 floors above. 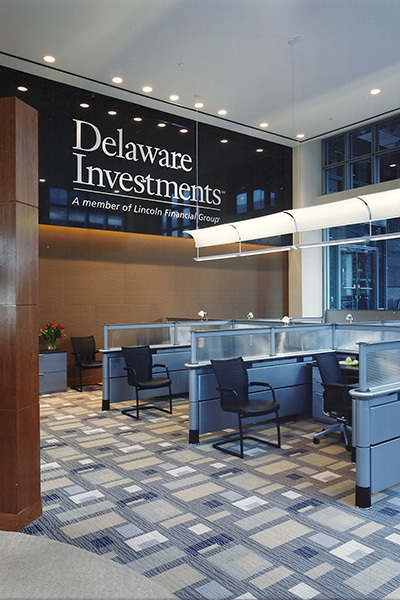 This inviting space gives access by the investor to their accounts at street level. 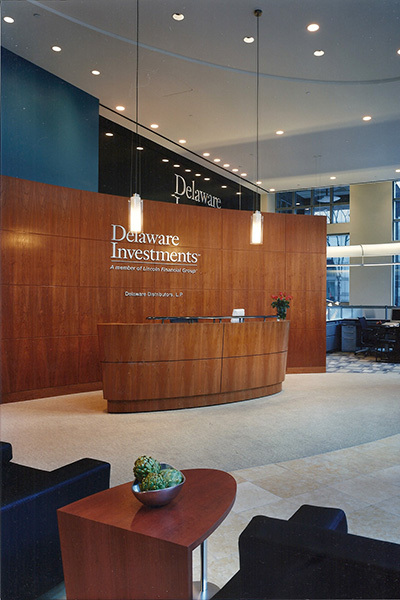 With a clean contemporary aesthetic, the two story space allows for large curved wood walls surrounding the reception desk with an eight foot high granite wall with stainless steel signage. Camille Peluso also established the design standards for the executive offices located in the tower above.